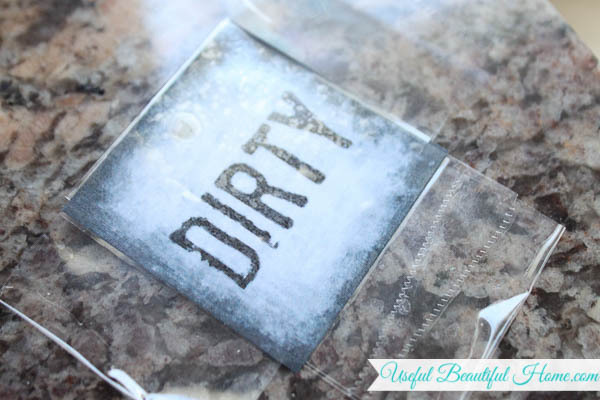 Clean or Dirty Dishwasher Sign ~ Free Printable! 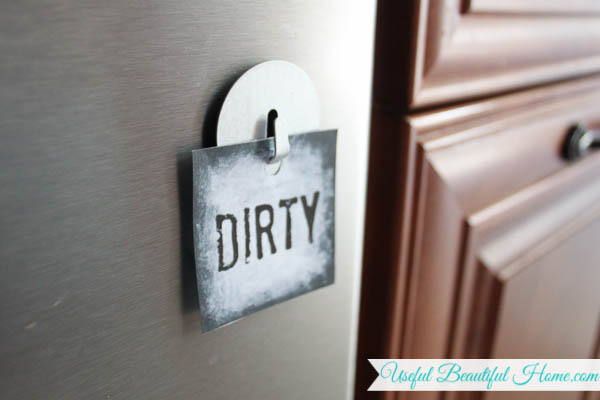 The following is a guest post with a clean or dirty dishwasher sign printable from regular contributor, Rachel at Useful Beautiful Home. Well, you’ll either love this or laugh at this, but I have to share in hopes that it will help at least one reader out there like me! Several years ago I was overwhelmed with just about everything unexpected that comes along with being a new mom. My husband did a great job helping when he could around the house, which included loading and unloading the dishwasher. With two of us doing the dishes at random, we were never completely certain if the dishwasher contents were clean or dirty. Yes, we did the “sniff” test or the “lift-each-cup-and-look-for-food-stains” test, but that wasn’t always a sure bet. 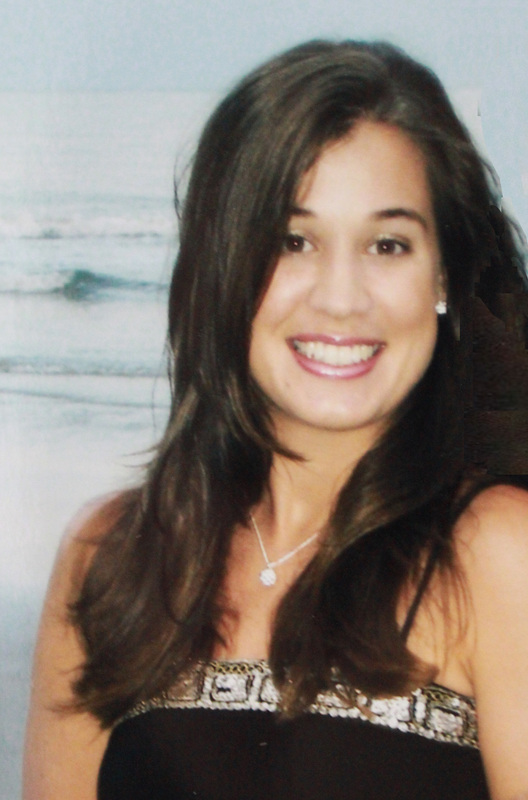 Then, the dreaded & disgusting thing happened, of all people, to me… the post-pregnancy, hormonal, germaphobic, new mom! I ate my lunch using dirty silverware and a dirty dish, assuming they were clean. And, since we had company over the night before, there was no telling who’s dirty dishes I re-used. I was pretty grossed-out to say the least. My husband did such a good job pre-rinsing the dishes before putting them into the dishwasher that I thought they had been washed (I may have been a bit sleep deprived in those days too). They were probably fairly clean, so I can’t complain about his rinsing technique. However, I was determined to prevent that misunderstanding from ever happening again! So, I made my own little clean/dirty sign for the dishwasher and we’ve been using it ever since. 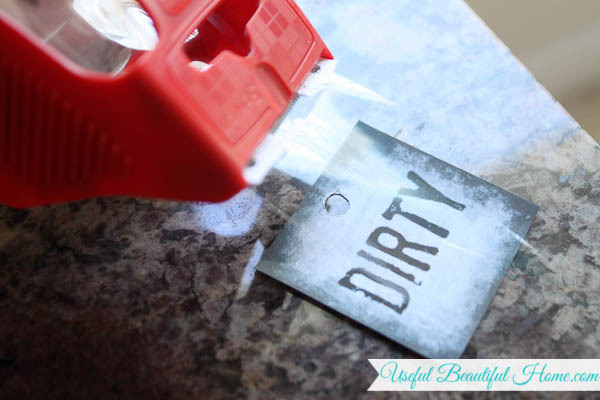 Like I said, I did this several years ago and my little DIY dishwasher tag was looking a bit tattered lately. The picture below is the original one I made, in all its ripped and taped-up glory. I decided it was time to make a fresh new one and offer you the free printable today. 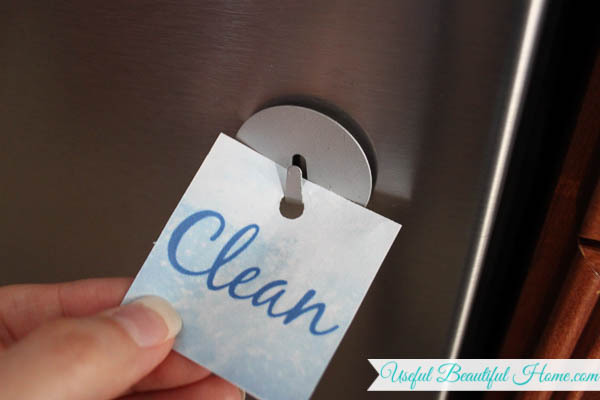 My tag is designed to be printed so that “clean” is written on one side and “dirty” is on the other. Since most of us don’t have a double sided printer; you’ll have to print only the first page, flip it over, put it back into the printer feed, and then print the second page on the other side. If you load the paper in the same direction, you should end up with a dirty/clean sign that can be flipped back and forth. After printing, just cut it out and punch a hole somewhere between the middle and the top (but not too high or it will tear easily!). I suggest using card stock paper for durability and perhaps even laminating after you cut it out to add waterproof protection and additional durability. I used card stock but skipped the laminating. Instead, I sealed it with packaging tape on both sides. I went over it two different directions with the packaging tape and then cut the excess (like what you see below) off the edges. 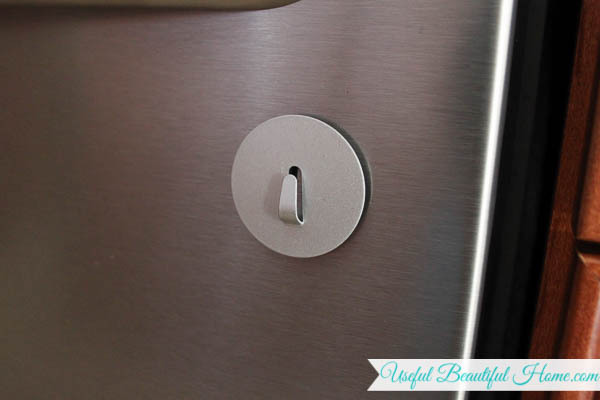 To hang it on the dishwasher, I found a strong magnet that has a SMALL and FLAT hook protruding out (example shown below). The larger the hook, the more likely to catch on clothing or cause other trouble. Magnets are sold at places like Walmart, Target, office supply stores, or like THIS ONE HERE (affiliate link) online. 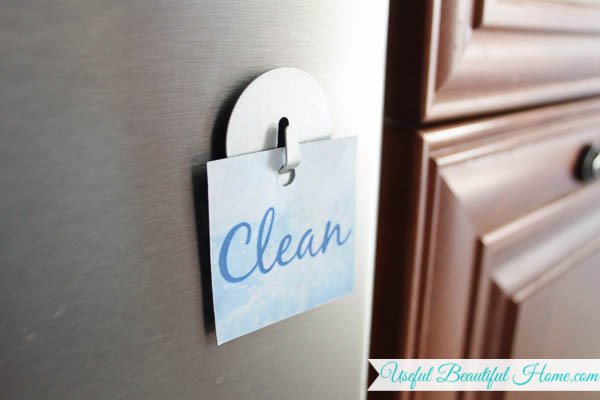 This is one of my easiest DIY organizing projects but really saves my sanity in regards to germs. It’s not the worst thing in the world to eat off thoroughly rinsed dishes, but I’m happy to say it hasn’t happened again since we’ve implemented this tag on our dishwasher. 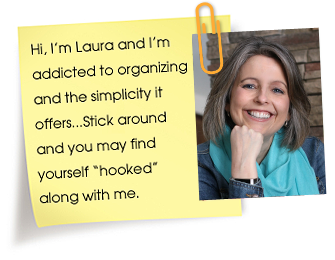 Sometimes the simplest of organizing tools are the biggest game-changers in a busy household. Leave it to a post-pregnancy, hormonal, germaphobic mind to brainstorm a solution. 🙂 Click the link below for your own printable dishwasher sign. Happy weekend, friends! 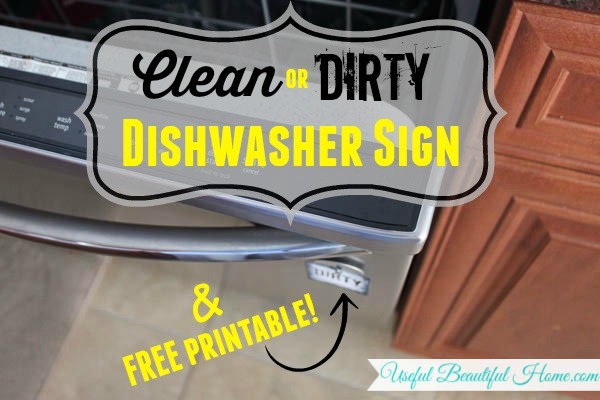 7 Responses to Clean or Dirty Dishwasher Sign ~ Free Printable! 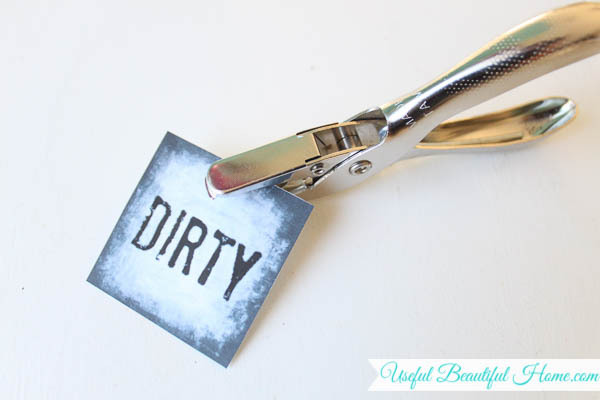 I love this printable. 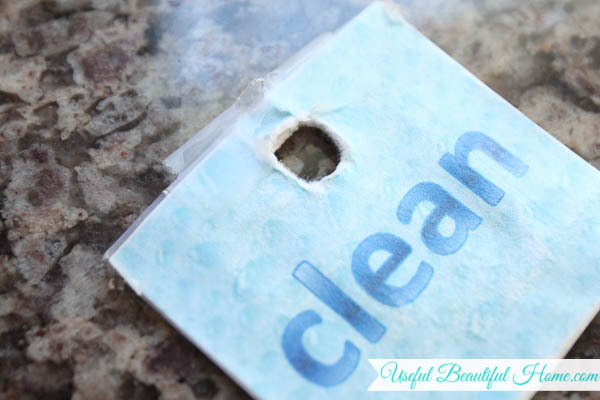 My clean/dirty tag is just a simple post it note, which says “clean” and is attached to the front of the d/w with tape when the d/w cycle is done. I’ve had to replace that post-it note several times over the years because it got tattered. I like your idea very much. Thanks for sharing your funny post. I did the same thing but used a large magnet that had a dental office info on it. I just used a fun printed duck tape to cover it. I then used my label maker added a clean label then turned it 180 and added the not clean label. We love it! The counters are cleaner now too. 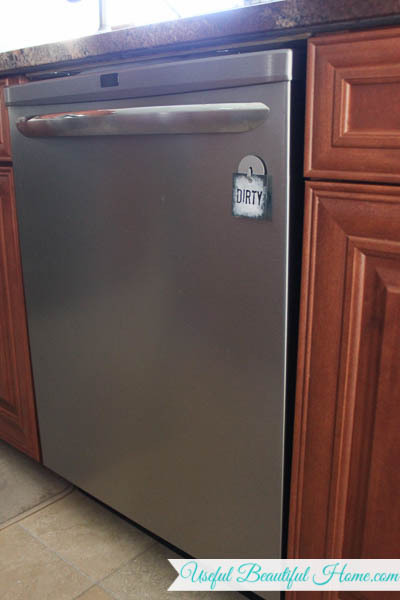 So, I have a stainless steel dishwasher and the clean/dirty magnets would not stick to it. Any other suggestions to get your tag on my dishwasher without a magnet? Thanks, Erica. Yes Erica, my girlfriend did this so I know it works…use the 3M picture hanging strips, won’t wreck the surface. You can probably find them at Walmart or Target. Works awesome! Gosh, I wish the printable were still here. Can anyone tell me where to find it? All fixed for you Gina, thanks for letting me know it wasn’t working for you. i have a idea. how about making one that tells “put away” maybe someone besides mom might get the idea & do it.